US Supreme Court Justice Warns Of "World Gone Mad"
We could barely believe our eyes when we saw the story linked by the Drudge Report on Tuesday from the Washington Examiner with a title of: 'Make a grocery list': Feds teach people how to shop for food. After reading the story, we quickly figured out the secret message behind the US Department of Agriculture tweet on Tuesday directing Americans to a webpage that they hope will 'train' Americans to shop and eat 'properly'. Linking to a page called "List Your Weekly Meals", the webpage said it's best to "write down meals you want to make this week before making a grocery list". Doing it in that order, the site says, means "fewer shopping trips," and will (here's the kicker!) "help people buy only the things they need to eat that week." With 'Doomsday Prepping' now mainstream with even Realtor.com having a story on the trending section of their website called "Prepping For Doomsday: Bunkers, Panic Rooms And Going Off The Grid" and the collapse of Venezuela happening before our eyes on TV's across the country and computers around the world, we see the fact that AT LEAST 5 'Cannibal Movies' have gone big at the Cannes Film Festival as another sign of where this is all may be heading. As we hear in the first video below, according to US Supreme Court Justice Clarence Thomas, we're now living in a 'world gone mad'. In the 2nd video, videographer TruthUnveiled777 tells us why the madness is likely only just beginning and reveals to us 'the bigger agenda' behind this all. Why would the government feel the sudden need to tell Americans how to go shopping and plan their menus? The wording of the statement: "help people buy only the things they need to eat that week" tells us more than just the statement. In Venezuela, even prior to the current crisis, the Attorney General there urged prosecutors to 'seek the detention of hoarders', that's right, Venezuela decided to lock up 'preppers' even prior to the 2016 crisis. Daisy Luther, the Organic Prepper, asked then if 'prepping' would soon become illegal here as well. While we all know that it's not illegal, yet, the handwriting is clearly on the wall of the direction this is going with a Barack Obama executive order used as prime evidence. While Susan and I have gotten it down to going grocery shopping only once a month most months, twice a month at the very most, we have to ask, why should government care if we're only buying food that we're going to eat THAT particular week? Is it any of their business if we buy a month's worth of food ahead of time or a full years worth? It's actually much cheaper buying in bulk so we save money doing so! Is that statement,"help people buy only the things they need to eat that week," another sign of where this is all headed? While countless millions of people across America 'throw away' their money regularly, preppers have had the foresight that our grandparents did, to plan for disaster (no food is a disaster) ahead of time. 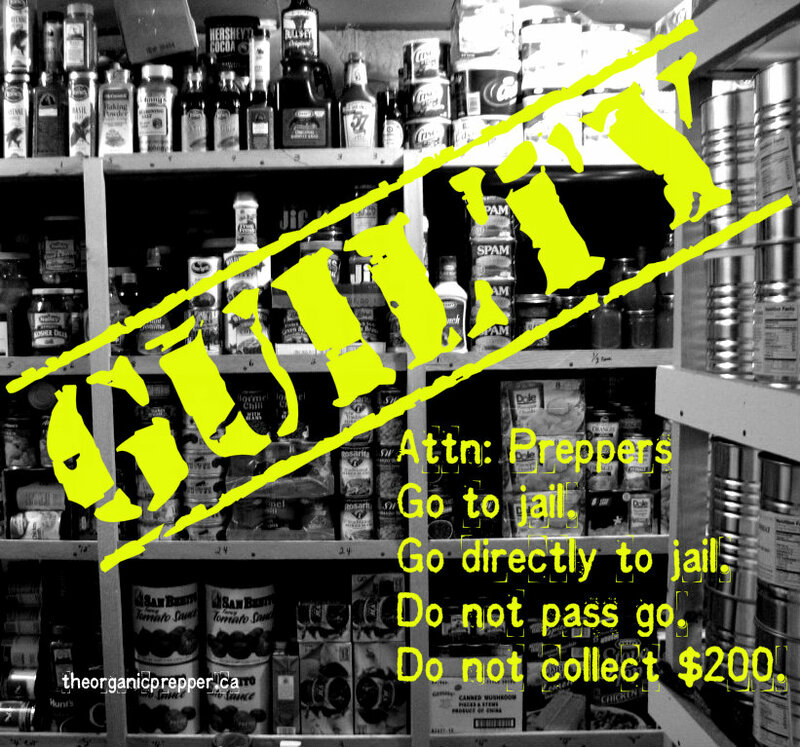 Will preppers soon be penalized for thinking ahead and stocking up? 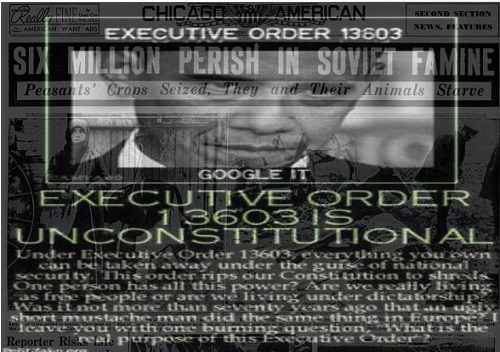 Anyone who has been paying attention knows all about Barack Obama's endless series of Executive Orders, especially EO#13603, which allows him to take total control over all resources in the country, including privately owned food and water resources. The thought of Obama's brown shirts raiding the homes of preppers across America and confiscating food is a very real possibility if Obama decides to implement that totalitarian EO. As Susan had reported previously on ANP, preppers have already been targeted by this administration even as far as listing preppers in general in a 'terrorist update bulletin'. While pushing men into women's bathrooms who may not have the best intentions and allowing ISIS into America who DEFINITELY don't have the best intentions, why is this administration so worried about preppers? 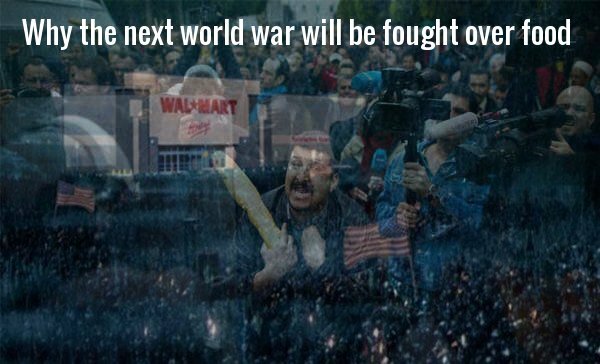 In a story on Fortune.com from December of 2014 we were told why the next world war will be fought over food. Millions of Americans all across the country are totally dependent upon EBT/SNAP and government assistance to survive. One look at Venezuela, a nation that only 2 years ago was still considered to have most of the modern amenities of a 1st world nation, shows us exactly what is possible during collapse, even here in America. Only 9 meals separate civilization from total anarchy and all that it brings. Our country's infrastructure might be only one horrific event away from a total meltdown. 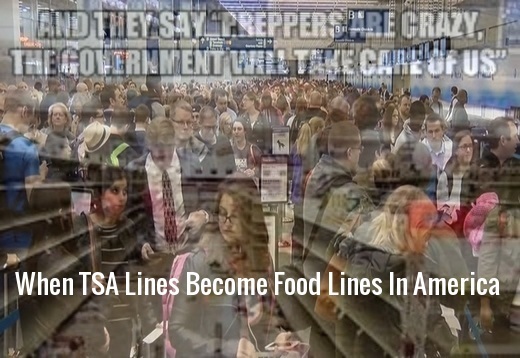 As we recently discussed on ANP, massive lines at TSA may be being used as 'BETA tests' for food lines here in America and further subjugation of the American people to 'global overlords' who clearly don't have Americans best intentions. Susan warned back in February that the 'ultimate endgame of trap, bait and slaughter' had begun in America and reminded us that for many centuries, food has been used as a weapon and world wars have been fought over food. As we learn in the final video below, preparing for doomsday has become a hi-tech, billion dollar business and it has definitely gone mainstream with the 'elite' buying private islands, underground bunkers and trying to get themselves as far away from the mess that they've caused as they can. Do they really not know that even islands far away from the masses or bunkers deep underground won't protect them from the 'spiritual ramifications' of the madness they've caused? We'd love to know what you think in the comments below.